We are very fortunate to have nationally recognized Craig Abercrombie teaching our lessons again this year. 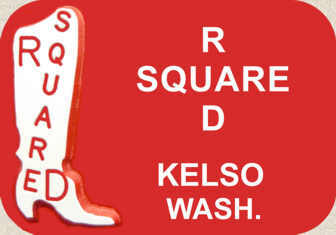 The class is sponsored by R Square D Square Dance Club. Our class sessions begin on Monday evening, September 17th, 2018. They will be held twice weekly at the Kelso Senior Center (click for map) located at 106 NW 8th Ave, Kelso, WA 98626 on Monday and Wednesday evenings. They include: a Plus session from 6:30 to 7:30, and a combined Basic/Mainstream Square Dance session from 7:30 - 9:00. No previous experience is required for the "basic" session. The first two lessons of each session are "open" to new dancers, meaning you may begin lessons at either of the first two weeks. After that, the lessons are closed to "new" students, as we began to teach additional movements which require the students to know the basics that are covered in the first two weeks. LATE START EXCEPTIONS can be made for dancers with previous experience who want to resume dancing and/or are looking for a club. Modern Square Dancing is a little different than Classic Square Dancing in that 1) there is no requirement for special attire, although traditional attire is welcomed, and 2) we dance to slightly different music. We still hear Alan Jackson and Roy Rogers but we also dance to Bobby Darin, Elvis, Credence Clearwater Revival, the Beatles, and even the Baha Men ... Yes, the Baha Men!! Square Dancing is good exercise, is a lot of fun, and is very social. Everyone is welcome. Exception, children ages 10-16 must have participating parents. Dress Casual. Come and have a good time! For more Information call Vic at 360-431-7553.